The Second Parenting Seminar was held earlier today at my daughter's preschool. It tackles Health and Fitness. The committee in charge thought of Zumba and appointed our Vice President to become our instructor. Parents were allowed to bring kids to join in the fun! After the rigorous workout, I picked up the milk I ordered from our pedia. I spotted Drip Cafe- a newly-opened coffee shop along the corner of Banawe and Maria Clara Sts., as I was driving on our way home. My mom, sis and I decided to check it out. My mom and I shared a large glass of Iced Latte. It was too strong, we could not even finish drinking it even after adding milk and syrup. I ended up with a sore throat. We took home the remaining coffee in a small take out cup. My sister ordered a glass of Strawberry Raspberry Iced Tea. It was not as flavorful as I expected but it gave off a sweet fruity scent. If I am not mistaken, Drip Cafe has the same owners as Serenitea's. I ordered the Fried Chicken Strips because I thought it will be just as tasty as Serenitea's Chicken Chop. It looked the same alright but the similarity ends there. 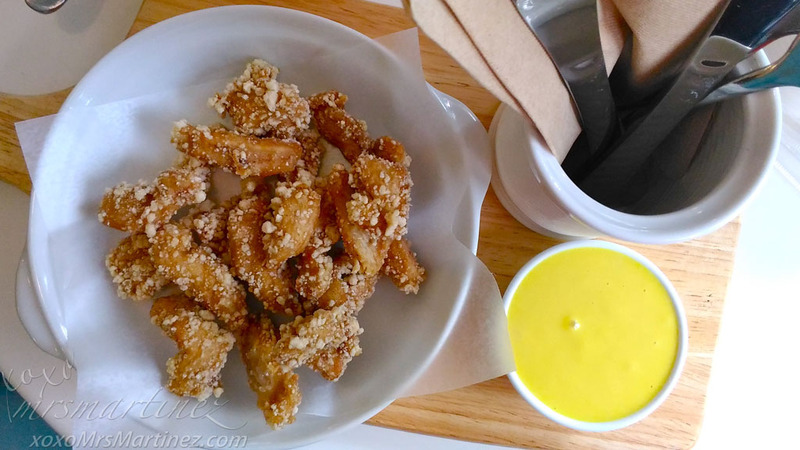 It tasted bland if eaten alone, it is best eaten with the honey mustard sauce served on the side. 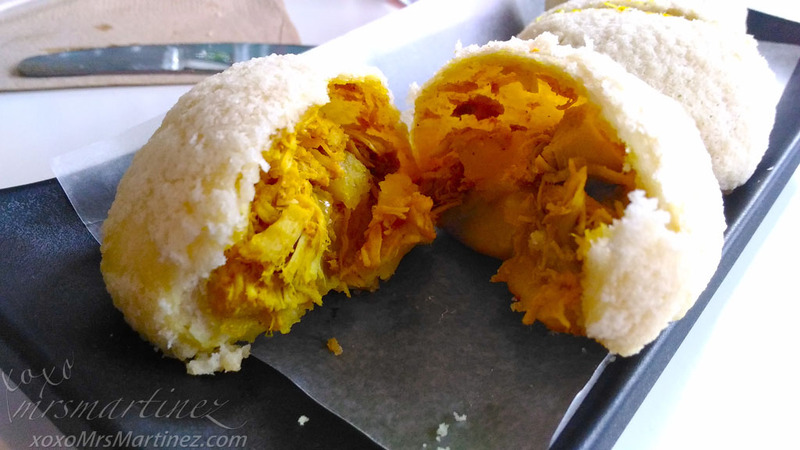 Chicken Curry Bun Php 45/pc. or Php 120/ 3 pcs. 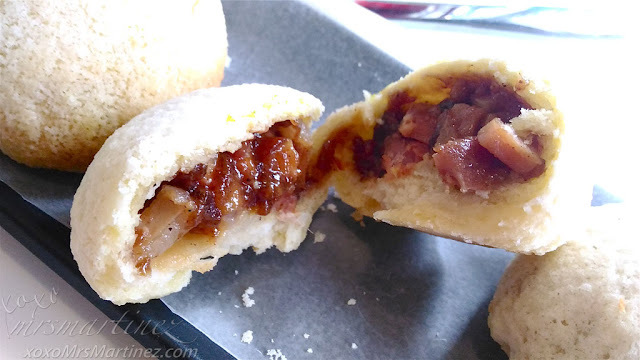 Pork Bun Php 45/pc. or Php 120/ 3 pcs. I ordered a combination of (1) Chicken Curry and (2) Pork Buns for Php 120. Chicken Curry Bun tasted better and the size was bigger than the Pork Bun. There was too much fat inside the pork bun (as seen in the photo). 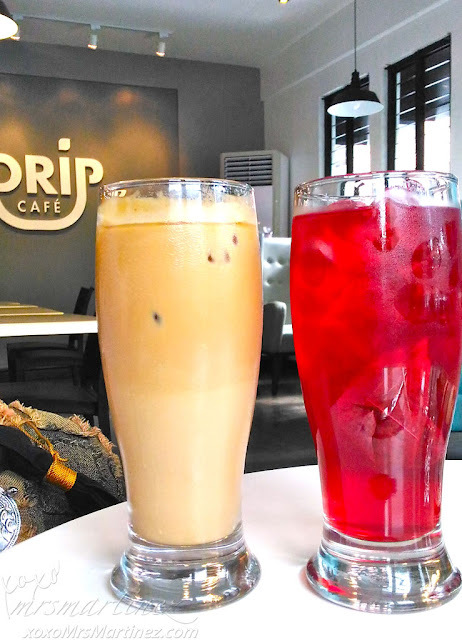 Drip Cafe has a lot of room for improvement since it is only on its soft opening phase. I hope it can come up with better selection of pastries, buns, and of course, the coffee beans too. Until then, I will continue my search for better tasting coffee. Drip Cafe is located at 46 Banawe St. cor. Maria Clara St., Sto. Domingo, Quezon City.